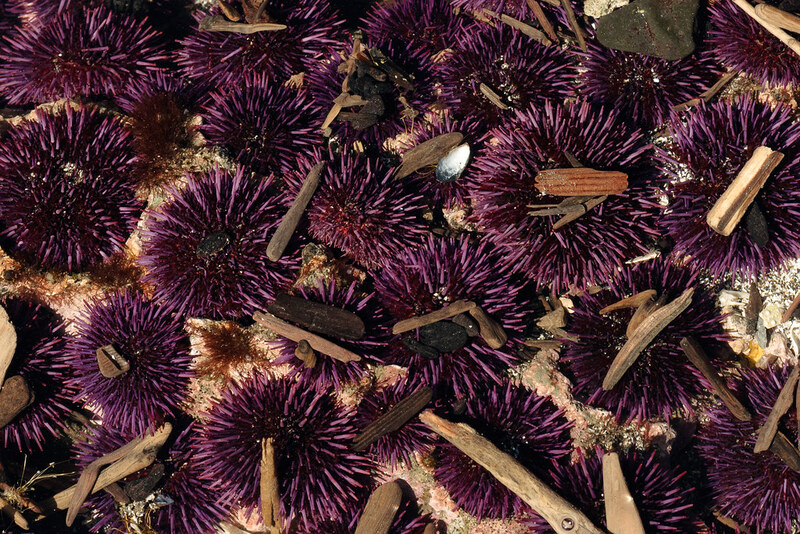 A group of purple sea urchins have carved out holes for themselves in a tide pool at Yaquina Head Outstanding Natural Area in Newport, Oregon. I’m fascinated how a seemingly immobile creature that looks like a prickly cat toy could do such a thing, something I could never do, and yet they can’t remove the driftwood that the tide drops over them. Give urchins opposable thumbs and they’d probably conquer the world. This entry was posted in Tide Pools and tagged Newport, Oregon, purple sea urchin, sea urchin, tide pool, Yaquina Head Outstanding Natural Area. Bookmark the permalink.